Some of my Japanese Anemones will be shown as part of The Art and Soul of Paper, an exhibition of 21st century paper artworks to embody the essence of the Japanese papermaking heritage. The event takes place in Norwich from 11 March to 20 April and includes three paper exhibitions, two artist talks and a workshop in Papermaking from Plants. It is organised by The International Association of Hand Papermakers and Paper Artists to coincide with Washi: the Art of Japanese Papermaking, a symposium hosted by Norwich University College of the Arts. My work will be exhibited at Mandells Gallery, Elm Hill, Norwich from 11 March to 6 April. I make collections of tiny envelopes, postcard bundles and other paper art. 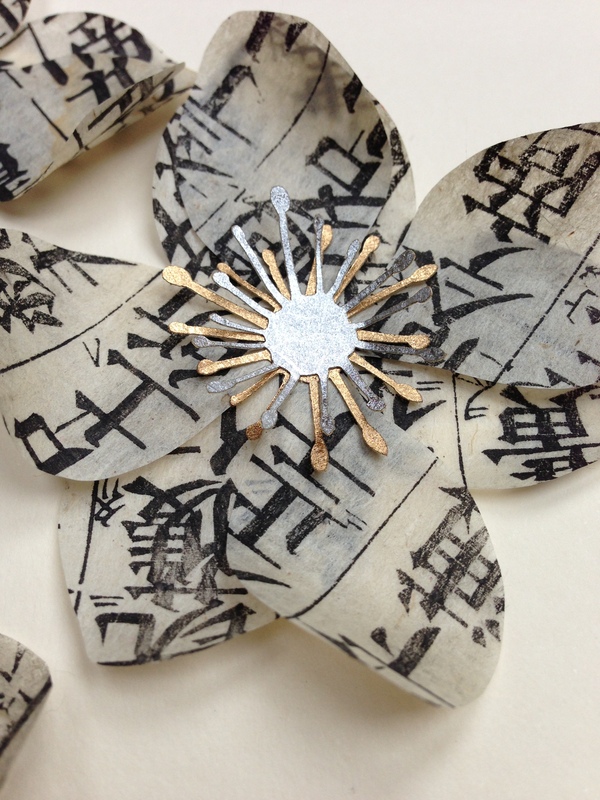 This entry was posted in Japanese anemones, laser cutting, paper art and tagged art and soul of paper, Japanese anemones, Japanese paper, paper art, Washi. Bookmark the permalink.